CAMP ALLEGHENY IS PLEASED TO PARTNER WITH GAME CHANGER SPORTS MINISTRY TO PROVIDE TOP TIER COACHING TO THESE BRAND NEW CHRISTIAN SPORTS CAMPS! ALL EVENTS ARE THREE NIGHTS! Game Changer Sports Ministry (GCSM) sports events combine top notch NCAA coaching with the fun, friendships, and faith development for which Camp Allegheny is known! These events are for Jr. High and High School athletes who are serious or looking to get serious about their sport. In the three night events campers will get significant instructional time with their excellent coaches as well as enjoying some of the other great activities that Camp Allegheny has to offer, like swimming, climbing wall, archery, and more. You can read bios for our head coaches below, each of whom will be joined by other top NCAA athletes and coaches for these great programs. 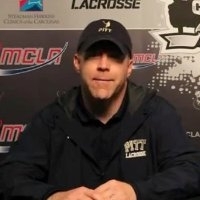 Coach Buzzard took the fledgling Pitt University program to new heights during his four year coaching tenure playing in both the Central Collegiate Lacrosse Association (CCLA) finals and the Men's Collegiate Lacrosse Association (MCLA) National Tournament for the first time. He was named CCLA “Coach of the Year” in both 2012 and 2013. Coach Buzzard continues to work in lacrosse leadership as the Director of the CCLA. Hannah was an important part of the University of Nebraska’s Women’s soccer team through the early 2010s. Hannah was a part of a Nebraska team that was two time Big Ten Champions in 2013 and she was the Co-Captain of Nebraska’s team her senior year. Off the field, Hannah excelled in academics and set an amazing example of caring for her community, being given awards 11 times for academic achievement, leadership, and community service. Taylor is playing her third season with the Liberty University Flames softball team as their starting left fielder. In her Freshman year she was named to the Big South All-Freshman team and in her sophomore year she was part of the Big South All-Tournament team. Taylor also knew how to get the job done in her High School career, batting .543 over the four years of her career and helping the team to back-to-back WPIAL championships in 2015 and 2016. Sara McMullen began her first season as the head women's volleyball coach of St. Francis University in 2016. She came to Loretto after serving as an assistant coach at Wooster College last season. She is the seventh head coach in program history. In her season with Wooster, the Fighting Scots had a four-win improvement from the previous season and had its best start to a season since 1969. McMullen also helped mentor senior Savannah Moore to All-NCAC Honorable Mention honors. McMullen spent the 2014 season at her alma mater, California (Pa.), as a volunteer assistant coach. The Vulcans finished 30-9 overall and 17-5 in PSAC play. Entering the PSAC Tournament as the fourth seed, California went on to win the conference title while losing just one set in its three tournament matches. In the NCAA Tournament, the Vulcans advanced to the Regional Championship for the ninth consecutive season before falling to Wheeling Jesuit. McMullen was a standout player at Cal U, earning AVCA First-Team All-Region and All-PSAC Second-Team honors as a libero. She finished her career with the Vulcans ranked second in program history with 171 aces and seventh with 1,197 digs. McMullen helped foster a culture of success at Cal U as the team had a pair of appearances in the NCAA Div. II National Championship quarterfinals. The Vulcans also won three PSAC titles. In her four years with the program, Cal U had a record of 132-26. Following her playing career, she began her coaching career as an assistant at Washington & Jefferson. After the Presidents went 10-16 in 2012, she helped guide the team to a five-win improvement in her second season as the team finished with a 15-11 record. That was the team’s best campaign in five years. Coach Taylor was a four year starting setter at Penn-Trafford High School. During her high school career she was a, three-year captain, four-time First-Team All-Section, three-time All-District, two-time Pittsburgh Post-Gazette East Feature Athlete, and First-Team All-State. 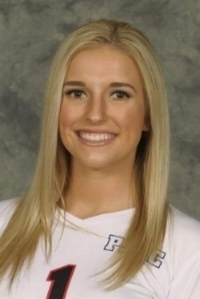 In addition, she played club volleyball for the number 4 ranked team in the nation, Pittsburgh Elite. She competed in tournaments across the country and ultimately received an Athletic Scholarship to California University of Pennsylvania. While at California University of PA she received PSAC Scholar Athlete laurels all four of years and was chosen by her fellow teammates as team captain her junior and senior seasons. She finished her college career with a total of 1221 assists ranked 11th in the school’s history with total assists. Her freshman year she helped lead The Cal U Vulcans in winning a PSAC conference championship. Taylor’s junior year, while playing exclusively as a defensive specialist, her team won the Southwest Division of the PSAC. Her freshman and senior season Taylor ranked in the top 15 setters with total assists. Caleb was an NCAA Championship Qualifier at the University of Nebraska in 2013. He wrestled both at 174 lbs and 196 lbs during his college career. Caleb was an accomplished Nebraska student off the field as well, winning the Athlete HERO Leadership Award, the Student Athlete Heart and Soul Award, and a spot on the Tom Osborne Citizenship Team. Caleb is now the head wrestling coach for Pine Richland High School.